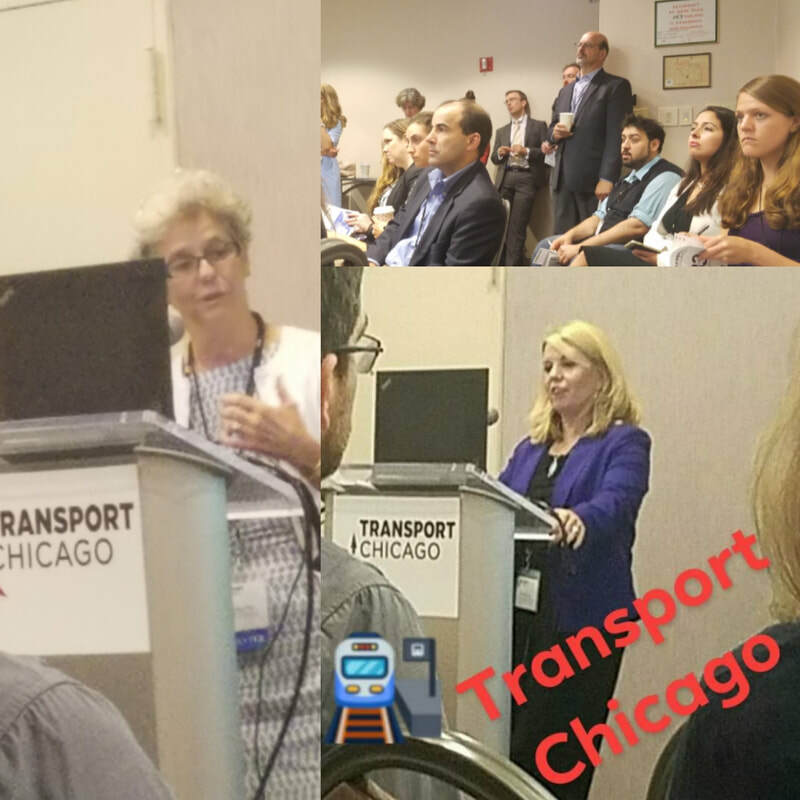 CHICAGO (June 1, 2018) – The transportation industry will be challenged to remain resilient during increasing instances of severe weather events and reduced funding, while transportation departments must work to ensure projects are delivered on time and relevant technology is employed effectively. 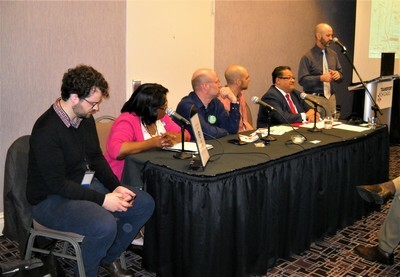 From another perspective, new initiatives are needed in communities dominated by black, brown and indigenous people of color to provide programs that result in equitable transportation options that can lead to reduced violence and improved health and mobility options for members of the community. 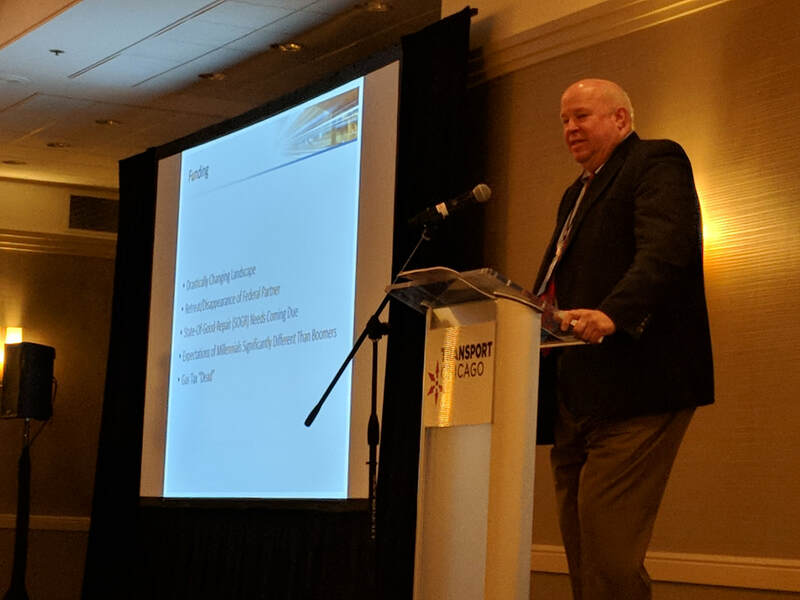 These statements summarize the keynote addresses presentations delivered during Transport Chicago 2018, the day-long forum held June 1 at the Holiday Inn Mart Plaza hotel in Chicago. Now in its 33rd year, Transport Chicago features presentations and sessions on modern transportation-related research, policy and practices and attracts more than 300 professionals, members of the academic community and students. On the issue of funding, Prendergast said the federal government’s role as a partner in funding new transportation projects or improving existing systems is declining, meaning agencies and departments need to explore value capture and other options to bring legacy systems to a state of good repair and expand services. He noted that transportation decision-makers must be proactive on the use of technology in relating real-time service information to the public as a way to improve performance. 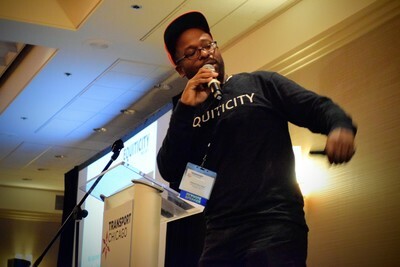 At the onset of his luncheon keynote presentation, Oboi Reed noted that a bicycle ride along Chicago’s lakefront provided the inspiration he needed during a challenging time in his life. “Nature spoke to me, and I became a cyclist,” he recalled. The President and CEO of Equiticity, a national racial equity movement, Reed said the goals of the organization are to reduce violence and improve the health and lives of people living in low to moderate income communities of Chicago and other U.S. cities. One program launched was creation of a “bicycle library” as a way to develop a bicycling culture in South Side Chicago neighborhoods. Reed also maintained that bicycles can be used as a vehicle for social justice if the immediate community is involved in the transportation planning process; and he favored the Latin American model of cycling, which gets people engaged in cycling as a way to improve their lives, over the European model, geared more toward commuting. Transport Chicago 2018 featured 12 panel discussions or presentation sessions covering a wide range of current transportation topics. Visit the Agenda page to access many of the presentations. Freight Planning – Modern freight planning and the impact of technology. Curb Appeal – Managing the entire public space from curb to road. Digging Through the Couch Cushions – Creative ways to finance infrastructure projects. Transit Ridership Loss – Exploring ridership trends in Chicago and other U.S. cities. Lake Shore Drive – An analysis of the needs and modes of this transportation corridor. Autonomous Vehicles – Integrating this technology into existing transportation systems. Red Line Extension Debate – Exploring solutions for the South Side of Chicago. Transit Agency 101 – Professionals share what it takes to develop schedules and manage service. Chicago Past, Present, Future – The impact of transportation and Chicago’s growth as a city. Agency Collaboration – Ways agencies work together to leverage funds, design projects and engage communities. Ask the Decision Makers – High-level officials discuss current and future projects. 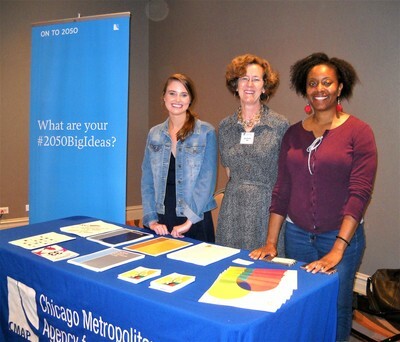 Advancing Equity – Outreach efforts to improve transportation in disinvested communities. 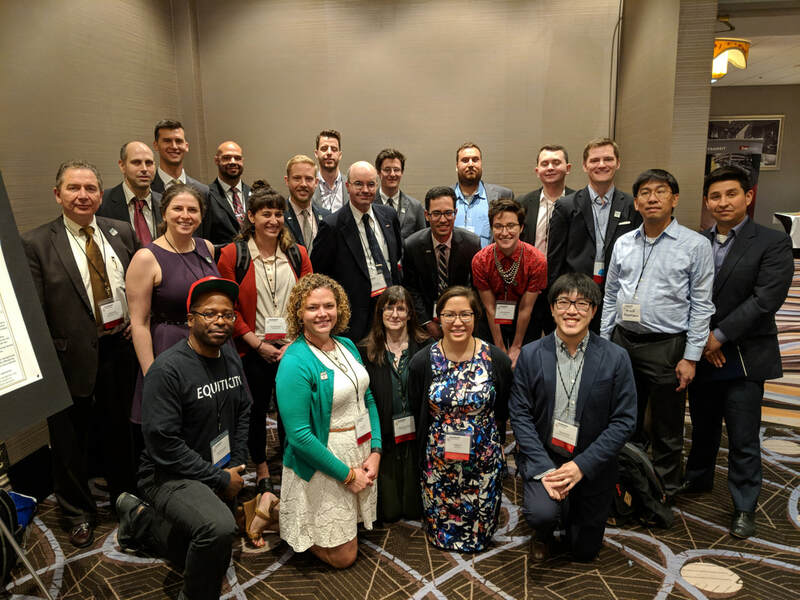 The 2018 Transport Chicago also included a Poster Session where scholars from universities, agencies and the private sector presented posters reflecting transportation research into safety, cycling, transit oriented development, fare structures and landscaping. Transport Chicago is organized and managed by volunteers from Chicago’s transportation agencies, consulting and engineering firms and academic institutions.